If you are paying by credit card please choose the size ad you would like from the dropdown box below. Then email us your artwork to jbosscher@grcmb.org. Please contact us if you have any questions. 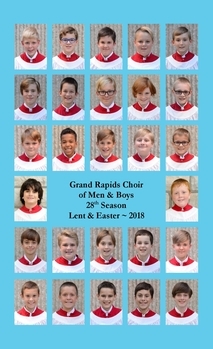 The Grand Rapids Choir of Men and Boys is preparing its program for the 2018-19 season. Now in its 29th year the Choir continues to serve the West Michigan community. This year the Choir has four programs, singing multiple performances of each, in October, December, March and May.Your ads will be placed in all four programs and read by over thousands potential customers.